A staple of the modern North American diet. As kids we take a packed lunch to school with a sandwich. In life we eat a “sub”, a hamburger, or some other type of sandwich… we eat eggs on toast for breakfast. We do this without thinking too much about how much all that bread adds up! Bread as a staple makes sense, it’s a cheap way to fill the plate and give yourself a full feeling with lots of carbohydrate energy to get you through the day. Unfortunately all those carbohydrates can add to the waist line pretty quickly. Most bread has a high glycemic index rating for those worried about diabetes, and these days gluten sensitivity is increasingly common. The problem is there’s a long tradition of making bread with enriched white wheat flour that contains gluten, has a recipe high in sugar and salt, and low in any meaningful nutrients or fiber. It’s ‘filler’ for your body. So is there a way to keep bread in your diet that makes any sense for your health? The popularity of low carb diets has lead to low carb bread. If you believe this article form dietdoctor about low carb bread… a truly low carb bread probably doesn’t exist. To be fair, I’m not sure I’d want it to. It would probably taste terrible and likely confuse my body’s natural chemistry with some chemical trickery. So off the top, don’t bother with low carb bread. If you are on a low carb diet, either cut the bread out entirely, or limit yourself to a small amount of high quality bread (which we will get into later in the article). Breads with these names are usually nothing but marketing. Sure it sounds great on the front, and has a healthy picture and some green colored design work. Unfortunately if you actually look past that and read the ingredients you’ll see they can be incredibly high in sugar, contain very little fiber, and still rely on unbleached enriched flour. Multigrain doesn’t mean that the whole grain was used, it just means multiple types of grains where processed and put in your bread… If I’m going to eat a multigrain bun I may as well embrace the decision and eat a white fluffy version. Chances are it’s extremely similar from a health perspective. Even rye bread has a tendency to be a little bit of rye grain, in a whole lot of enriched wheat grain. It looks healthy, is marketed as healthy, but contains almost no fiber. Utterly useless from a health perspective. 1. How many slices are the nutritional facts for? Some breads can be confusing and mask their numbers by making a ‘serving’ multiple slices of bread. So pay attention! 2. What is the fiber to sugar ratio. You want to find something with the most fiber, and the least sugar. Fiber is filling, helps digestion, and can help lower blood pressure. In short fiber tends towards greater health, while sugar is the opposite. 3. The words 100% whole wheat flour should be top of the list. Any other ‘flour’ listing is likely to be some version of ‘enriched wheat’ flour. Essentially white processed flour that your body does not need. 4. Watch for secret sodium. If you are worried about too much salt you need to pay attention to how much is hidden in… everything. Bread needs to contain some salt for yeast control and flavor. It’s delicious, but you probably aren’t paying attention to it in your daily intake. Generally sodium in your bread isn’t a major concern unless you are on a very strict low sodium diet. 5. Gluten Free bread. If you are a celiac or gluten sensitive individual you are probably turning to gluten free bread as a new alternative. It’s a hard transition to go from ‘regular’ eating to 100% gluten free and you want something easy and ‘normal’ like bread. I’m going to suggest you just… don’t. Don’t bother. The gluten free choices on the market are often bound with industrial binders like xanthan gum, have barely any fiber to speak of, use inflammatory oils, and are simply not particularly healthy. If you are gluten intolerant – give up on bread! It’s a little more work, but there are a lot of great support sites filled with meal plans and recipes for you. Ultimately if you are watching your weight, and staying health conscious I’d recommend to limit bread in your diet. When you do eat it, pay attention to the label and look for something with high fiber and low sugar content. 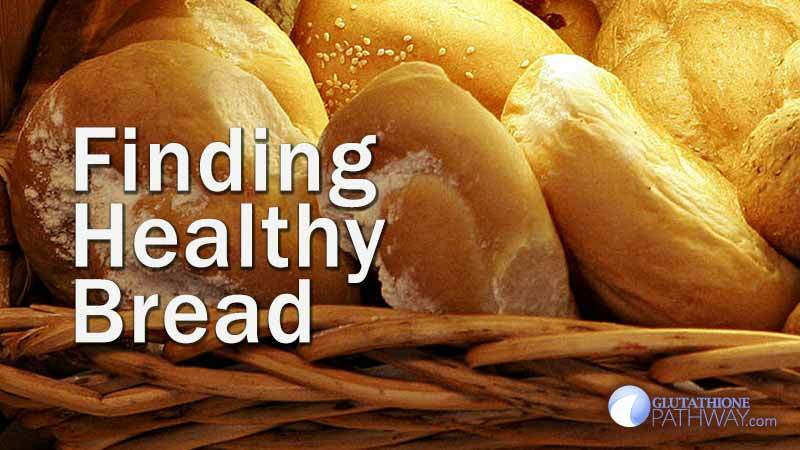 What’s the healthiest bread choice you’ve come across so far? 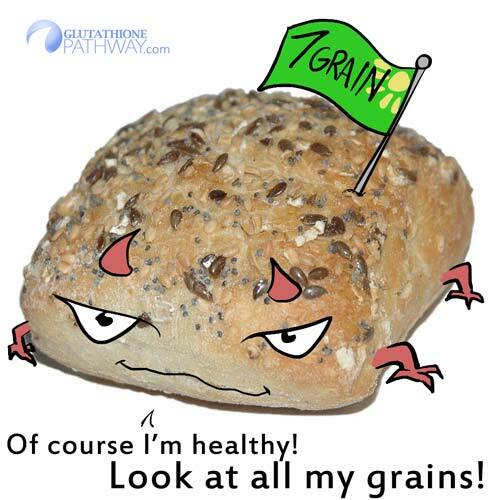 Leave a comment, it might help a fellow bread lover make a healthier choice.